This is a content value addition from transformation ppt powerpoint presentation outline slide. This is a eight stage process. The stages in this process are core elements, transformation roadmap, task distribution, transformation budget, value addition from transformation. 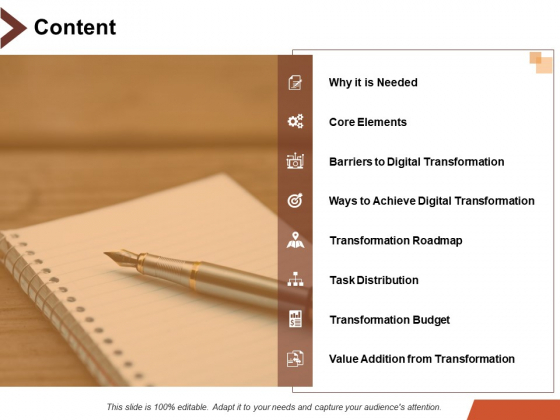 Our Content Value Addition From Transformation Ppt PowerPoint Presentation Outline Slide ensure you don't leave behind an iota of doubt. Insist on being loud and clear. 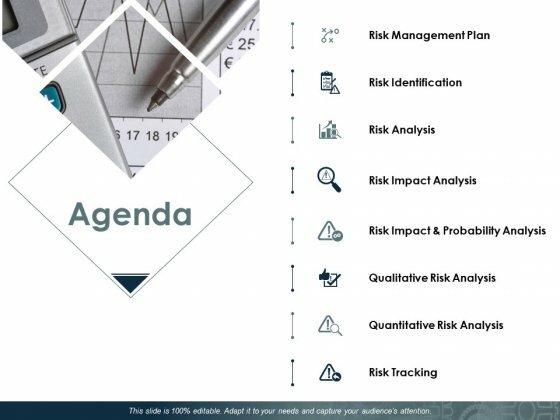 This is a agenda risk estimator ppt powerpoint presentation icon templates. This is a eight stage process. The stages in this process are business, management, strategy, analysis, planning. Our Agenda Risk Estimator Ppt PowerPoint Presentation Icon Templates team are an enduring lot. The further the distance, the better they become. This is a agenda ppt powerpoint presentation infographics designs download. This is a eight stage process. The stages in this process are risk identification, risk analysis, risk tracking. Be consistently appreciated for doing a good job due to our Agenda Ppt PowerPoint Presentation Infographics Designs Download. You will enjoy a long career. This is a content ppt powerpoint presentation show elements. This is a eight stage process. 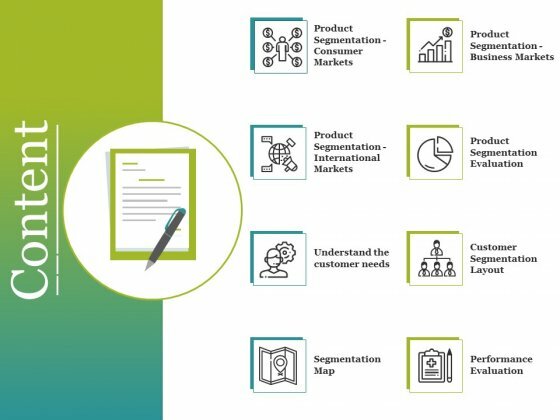 The stages in this process are understand the customer needs, segmentation map, performance evaluation, customer segmentation layout, product segmentation evaluation. Drown doubts with our Content Ppt PowerPoint Presentation Show Elements. You will come out on top. This is a table of content ppt powerpoint presentation infographic template model. This is a eight stage process. 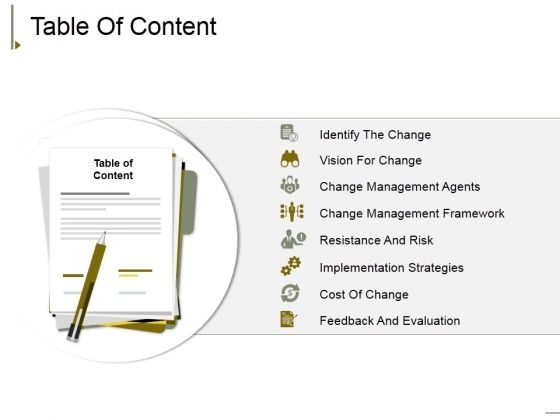 The stages in this process are identify the change, vision for change, change management agents, change management framework, resistance and risk. 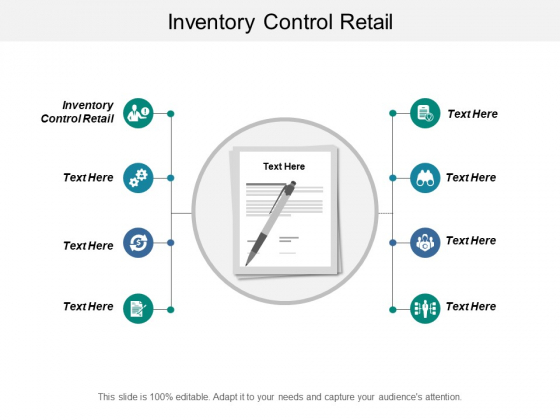 Announce plans with our Table Of Content Ppt PowerPoint Presentation Infographic Template Model. You will come out on top.